Mobile application development continue to evolve as the app market for smartphones as well as tablets matures. 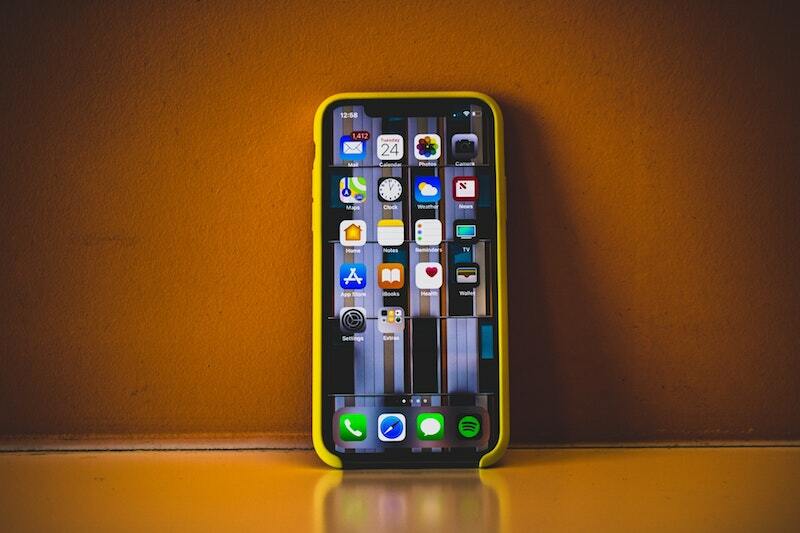 Although phones and tabs still are main platforms for applications, developers are beginning to explore possibilities for apps on devices and wearable connected to the emerging IoT tech trend. In the digital world these days, mobile is an integral part of daily life. It’s become the breath of each and every business aspect, including social life, daily routines, gaming world, professional activities and more. A leading mobile app development company, particularly in India could provide flexible, reliable, affordable, consistent, qualified and secure solutions for various mobile platforms, including Android, iOS, Windows and even Hybrid apps. With advanced technology, tools and expertise, app developers could craft amazing applications, which yield great results to the clientele. The IoT is a rapidly growing in the computer industry environment, impacting the mobile app industry as well as the service offerings of an app developer company. For the first time, people and organizations could build an interconnected ecosystem of devices, which are controlled from a central device. Ranging from fitness devices to wearables to household utilities and goods, the IoT spans various devices. The tech giants, like Google, Apple and Amazon each have their own ecosystem, which serve as base for integration of third party development. A developer could opt for an ecosystem for integrating their hardware with, or support all ecosystems to enable a system to be utilized by a huge number of people. Mobile use has never been greater than today, among individuals and organizations. The huge company ecosystems are based on APIs prebuilt, which enable a developer to integrate with the one central device like HomePod, Echo, smart TV or mobile phone. This impacted mobile application through shifting the developers’ focus, from the need to concentrate on the developed features in an independent app to using a service to integrate well with a central smart home app or voice assistant. Smart health devices for instance could have an independent app to track health data, but the app would us the built-in health app made by Google or on its mobile OS and Google for Android for keeping similar data in a central location for user access. With the popularity of Siri and Alexa, hardware development such as thermostats and fixtures should be designed with voice assistant integration in mind for ease of access and control. The use of voice assistants is growing fast. Voice assistants have become better and smart speakers rose from around two million to more than 30 million in the United States. An app developer company could also have an opportunity to develop a connected ecosystem for users. A lot of appliance enterprises have started creating smart appliances, which connect to a central application as well as voice assistant. Each of the device could connect with others in the ecosystem for a unified user experience. Integrated ecosystems make other devices developed by an enterprise much more attractive, based on the unique features on offer. A lot of fridges today have started to ship with touch panels integrated on the doors. This allows functionality of displaying notes and reminders from a mobile phone, display recipe or connect to the phone, and via in-built cameras, could show live of what is within when a user is at the grocery. Another way that the internet of things is changing the mobile app development landscape and how app developers provide solutions is the integration between hardware and software. Wearables and microcontrollers could be programmed and controlled via an app. The smartwatch industry enables third party app development, the same to what tablets and smartphones allow. Due to the size of the displays and where they are located on the wrist, the UI or user interface and app designs should considerably vary from apps that are developed for the phone or the tablet. The customer service is easier said than done. With powerful reporting features, like automations, intuitive UIS and integrations, a developer could transform the customer service and make it into a competitive edge. An app developer company could deliver IoT integrations for streamlined mobile application development and solutions. With the continuous growth of the use of mobile devices, mobile apps development has become a very lucrative career option for many. Application development company will continue to enjoy great demand for many years. The Internet of Things market has just started to emerge, but already has disrupted the mobile app development strategy of mobile app developers. Where in the past, developers concentrated heavily on building independent applications, IoT has created a unified app ecosystem for controlling devices around a user a necessity, with third party applications that serve as extensions to frameworks that already exist. It provides an opportunity of creating a unified user experience as well as offer services that were not possible before with hardware that is independently controlled. Guest article written by: Rooney Reeves is a content strategist and a technical blogger associated with well known firm for eTatvaSoft – Web & Mobile App Development Company in India. An old hand writer by day and an avid reader by night, she has a vast experience in writing about new products, software design and test-driven methodology. Her write-ups mainly features anything and everything related to the web! With the true passion for creating compelling content for online and offline media, Rooney has donned multiple hats over the past several years. Thanks for the informative post about Mobile application. The IOT industry is growing positively nowadays. It helps a lot of people do things easier. People could even save a lot of time with the help of the IOT industry. Great points you have there. Great read! Thank you for sharing this valuable and complete guide post about mobile application. I am also providing these business services from 6 years and more and i am glad that i cam across this informative blog post. Thanks for sharing the useful points.